Derrick Lewis’ coach is speaking out on his fighter’s injury ahead of his outing with Junior dos Santos. Lewis took on “Cigano” this past Saturday night (March 9). “The Black Beast” certainly swung for the fences, but was blasted with a body kick in the first round. In the second stanza, dos Santos finished Lewis via TKO. A report from Helen Yee later surfaced claiming that sources in Lewis’ camp said “The Black Beast” had a torn meniscus, ACL and MCL. Lewis has been quite active in the span of five months. He had a tough outing with Alexander Volkov back in Oct. 2018. Lewis ended up pulling off a comeback knockout win with just seconds left in the fight. He challenged UFC heavyweight champion Daniel Cormier the following month and lost via unanimous decision. 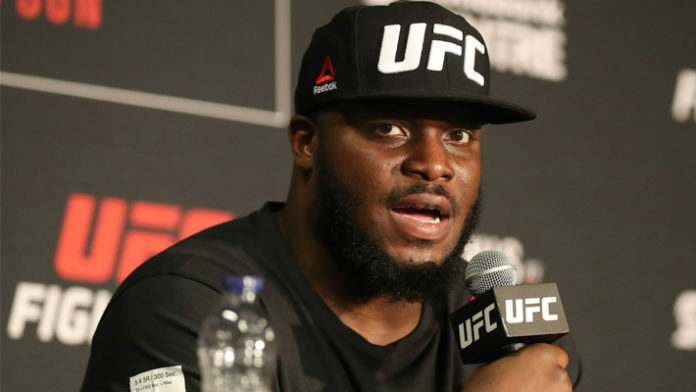 Has Derrick Lewis spread himself too thin?